We split our time between two tech-related events in Cape Town last night. 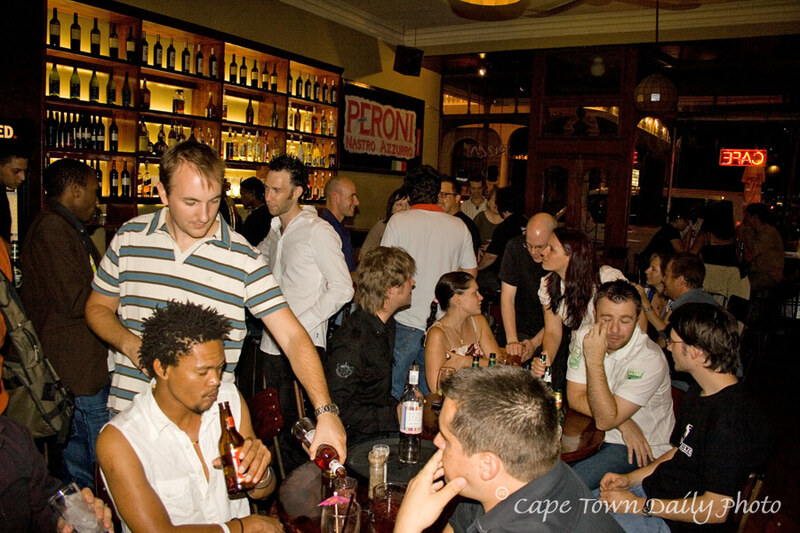 After a relaxed GeekDinner at Sloppy Sam in Green Point, we drove down to Long Street in the city centre for a noisy gathering of bloggers, organised by Vincent and Matthew, the founders of Amatomu. Excellent news: Stormhoek kindly sponsored the wine for GeekDinner - and we learnt, with great excitement, that their awesome wine is now available from Pick 'n Pay stores across the Western Cape. If you're in Cape Town, get some now, before we beat you to it. Posted in General on Friday, 1 February, 2008 by Kerry-Anne.